This is uses SHT1x sensor. SHT1x is individually calibrated in a precision humidity chamber. 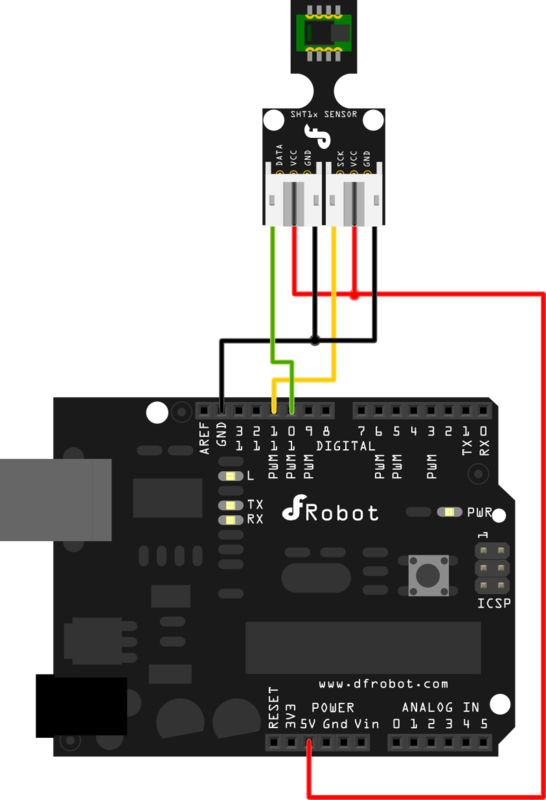 The calibration coefficients are programmed into an OTP memory on the chip. These coefficients are used to internally calibrate the signals from the sensors. The 2-wire serial interface and internal voltage regulation allows for easy and fast system integration. The tiny size and low power consumption makes SHT1x the ultimate choice for even the most demanding applications. 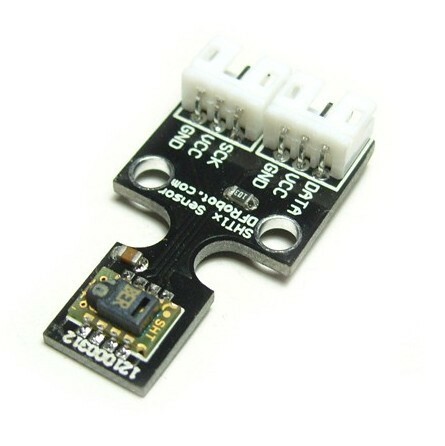 Get SHT1x Humidity and Temperature Sensor (SKU: DFR0066) from DFRobot Store or DFRobot Distributor.